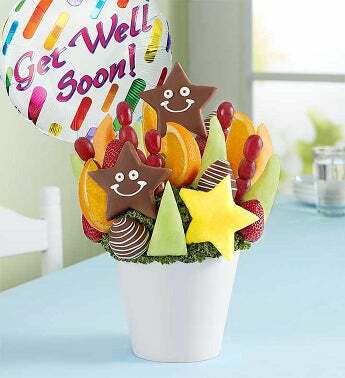 Send your sweetest wishes for a speedy recovery with our thoughtful fruit arrangement. 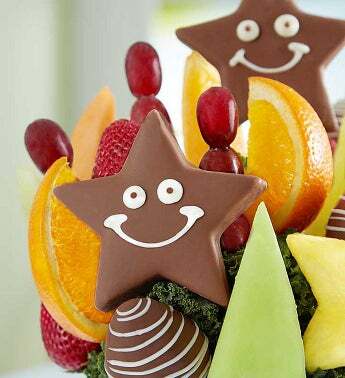 A mix of fresh, juicy favorites, highlighted by smiley-face pineapple stars, is sure to brighten their spirits. Paired with a “Get Well” balloon, it’s a gift that will have them on the mend in no time.